Deeper and deeper in the nightmare! 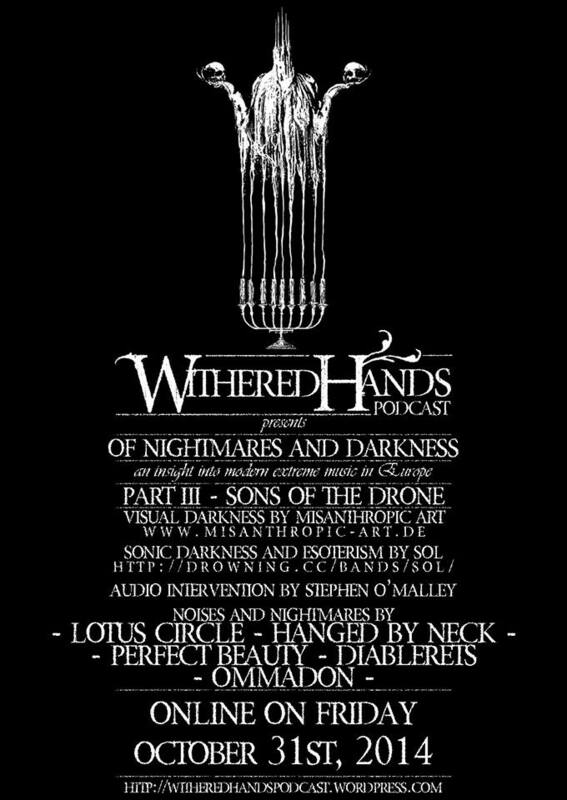 This is the episode number 3 of 4 for “Of Nightmares And Darkness” the show aiming to give an insight into modern extreme doom metal music in Europe! As you might know if you’ve listened to the preview show or re(a)d something about it , we tried to gather European bands who tried to converge in their style loads of different influences creating something somehow “new” in what is the typical music direction of most of the modern funeral doom metal bands and extreme metal bands. As it has happened for the previous two shows, this whole project is not just about European extreme metal bands! During the show we play some other funeral doom metal bands and we try to find artists willing to give an image to rappresent the show and the main idea behind the show. We want to get the listener 200% into the show by getting him lost into it, feeling the nightmares and darkness we named the show after. On this third show, titled “Sons Of The Drone”, we move onto the doomy drone influences of this new genre and we try to find a connection in between the bands we’ve been playing on the first two shows and those we play today. MISANTHROPIC ART, who provided us with the amazing image appeared on our new flyer and promo video. and you can get in touch with the band through the same page! STEPHEN O’MALLEY, icon of the drone scene and incredible artist! Has for the previous two episodes, we hope you’re goin to enjoy and discover some new amazing bands! If you like what you listened to or what you’re goin to listen to, please share! Every little helps! As I said during the show, the next and final episode for “Of Nightmares And Darkness” should be ready around the half of December due to some other shows we’re working onto with the podcast! Get ready for an amazing show for THE HAND OF GLORY (our new format) coming out in November!